Made from organic oranges and fairly traded organic sugar. Organic Sugar, Organic Seville Oranges, Gelling Agent: Pectin, Acidity Regulator: Citric Acid. Prepared with 25g of fruit per 100g. 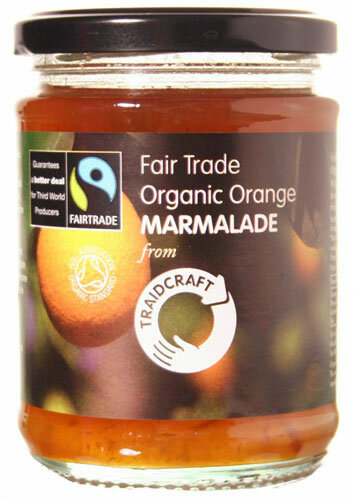 The Traidcraft Fairtrade & Organic Orange Marmalade - 340g product ethics are indicated below. To learn more about these product ethics and to see related products, follow the links below. Q: As someone who has diabetes I need to know the carbohydrate content as gms per 100 gms of all that I eat. 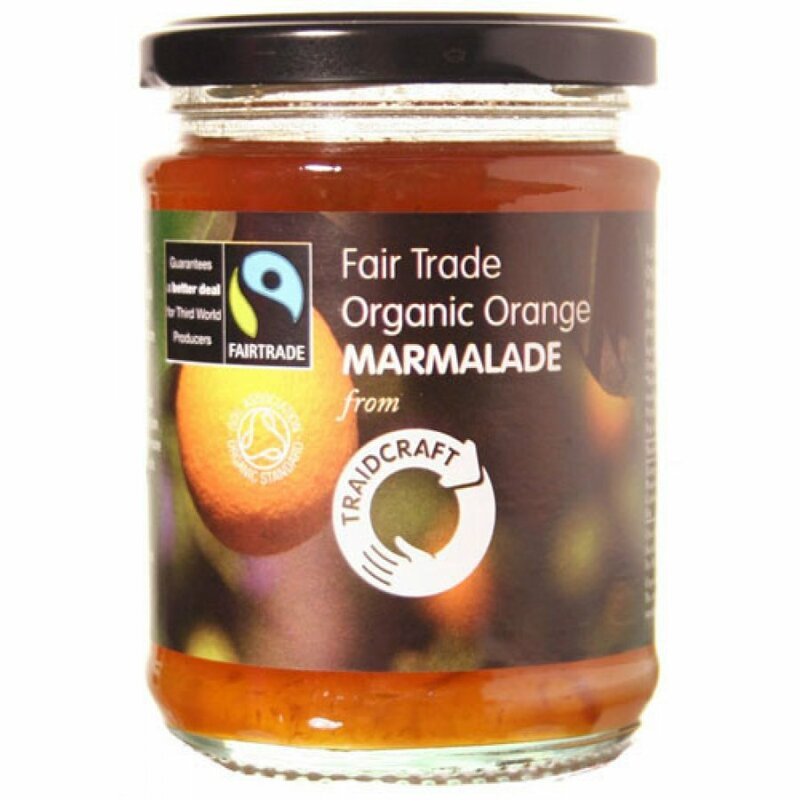 Can you provide this for the organic marmalades that you sell? I do hope you can as I would like to include it in my daily diet. A: Hi, the carbohydrate content per 100g of this marmalade is 65g. I hope this helps. Robyn.